I have had this card for about a year now. I love it. The 1.5% cashback across the board is quite good especially considering there is no anual fee. This is an exellent card to help build credit and it is the one I use to do most of my grocery shopping. I also believe you can use the cash back generated with this card on the Saphire Reserve card which I plan to apply for in the future. As of yet I have not had need to contact chase customer support so I can't speak to that. The rewards are quite easy to redeem. 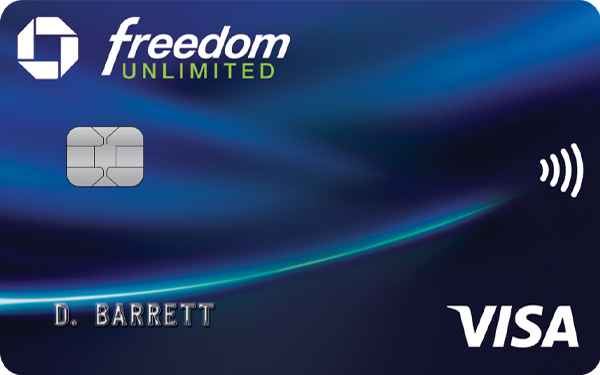 I would highly recommend this card due to its high cashback and lack of an anual fee. Simple and useful cash back card. Credit Karma said I had excellent approval odds for this card. I applied and within minutes was approved for a $3500 credit line. Using the card I've earned hundreds of dollars on regular purchases. Very nice card to have. Can be used with shop through chase to earn bonus points shopping online with select merchants like Walmart, under armor, best buy and others. Nice card, with a easy to hit sign up bonus. There are very few rewards with this card and they seem to have a very strange way of calculating interest. This is definitely not an incentive based card. How would you say they calculate their interest rates? Curious to know... Thanks! Excellent card to have. I’ve had the card 11 months and no issues. I would recommend this card to anyone.